"Adventures in Narnia is a show that blows you away with the creativity and talent that is displayed in every scene. From beginning to end, it is a joy to experience!" "A beautiful production with amazing costumes and music. You really connect with the dancers and their emotions. You can see everyone has worked long and hard to bring us an evening of dance and beauty with a positive message of love." "The amount of work that goes into Narnia shows in every step, every more, every detail... You're not watching kids put on a show. You're watching a professional, magical, whimsical ballet. A Holiday Ballet for All Ages. The Hosanna Performing Arts Foundation presents its annual winter show, Adventures in Narnia. Now in our 16th season, this family-friendly event features more than 70 local performers, and combines ballet, modern, tumbling, and theater, with both classical and locally-composed music, and original choreography. 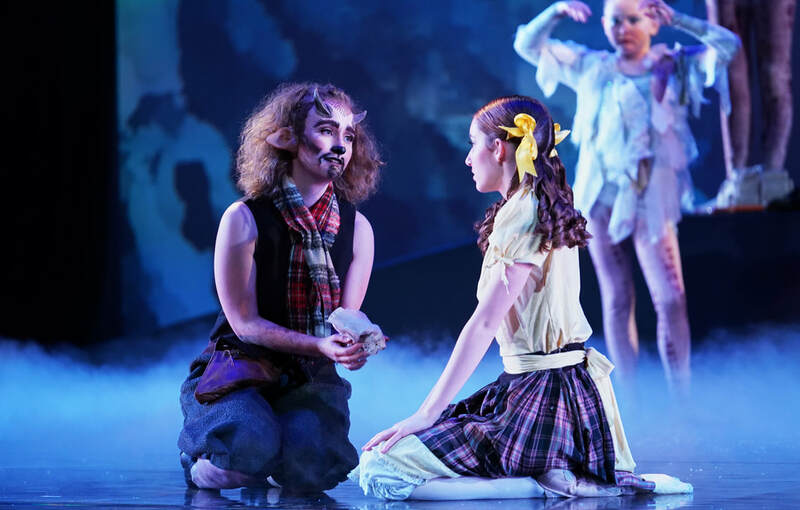 Hosanna Performing Arts Foundation's show is based on THE LION, THE WITCH AND THE WARDROBE by C.S. Lewis copyright © C.S. Lewis Pte. Ltd. 1950. Site photos by Mark Willett photography and by Maricel Teague. Web content by Wildwood Digital Publishing. Powered by Weebly.